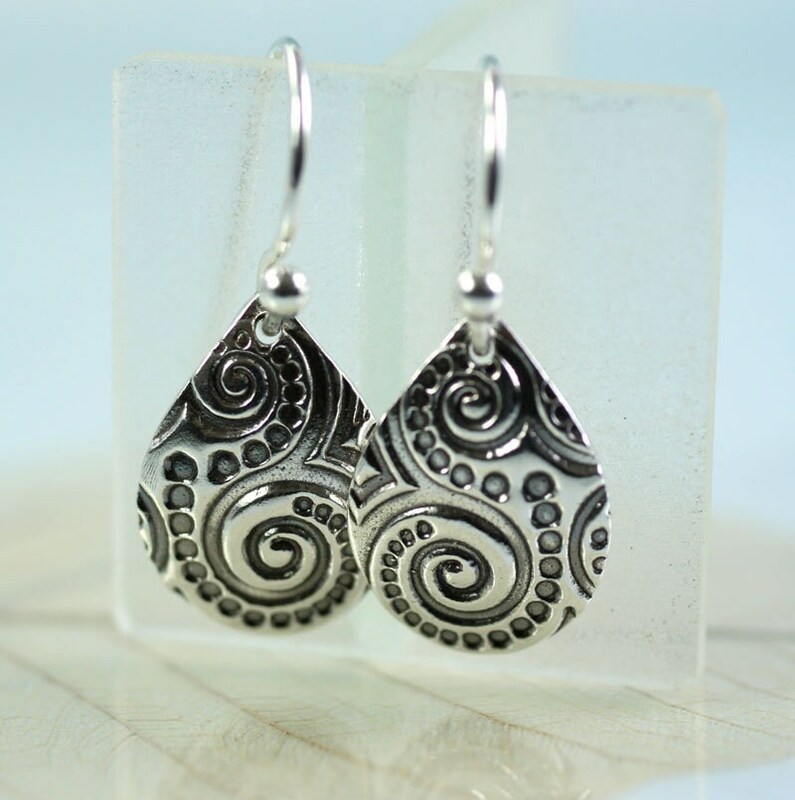 Petal shaped dangle earrings with a spiral and dot pattern. 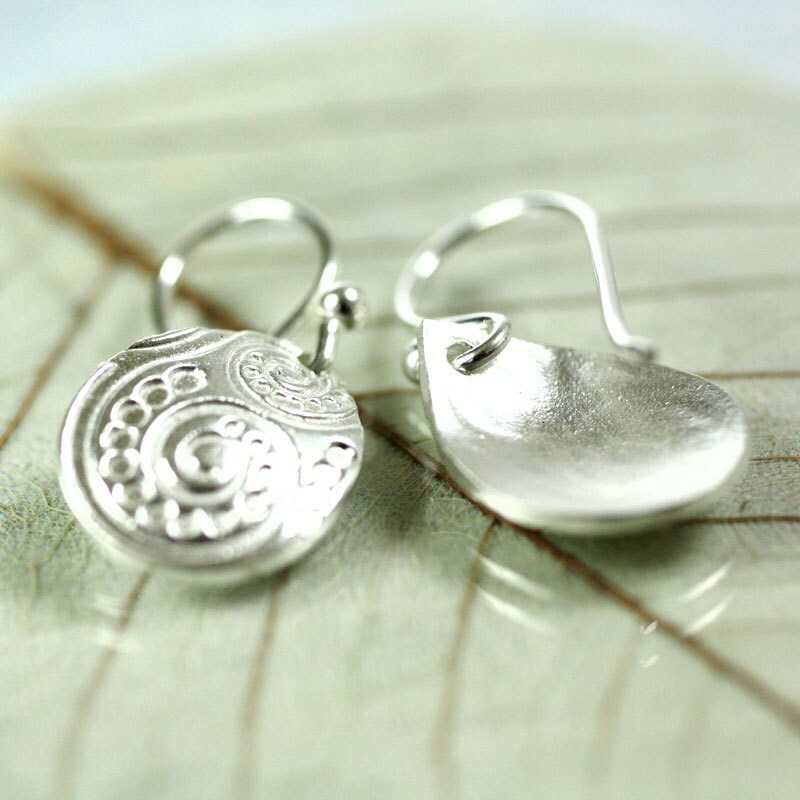 Choose from bright white silver or oxidized to bring out the details of the texture. Understated and gorgeous. 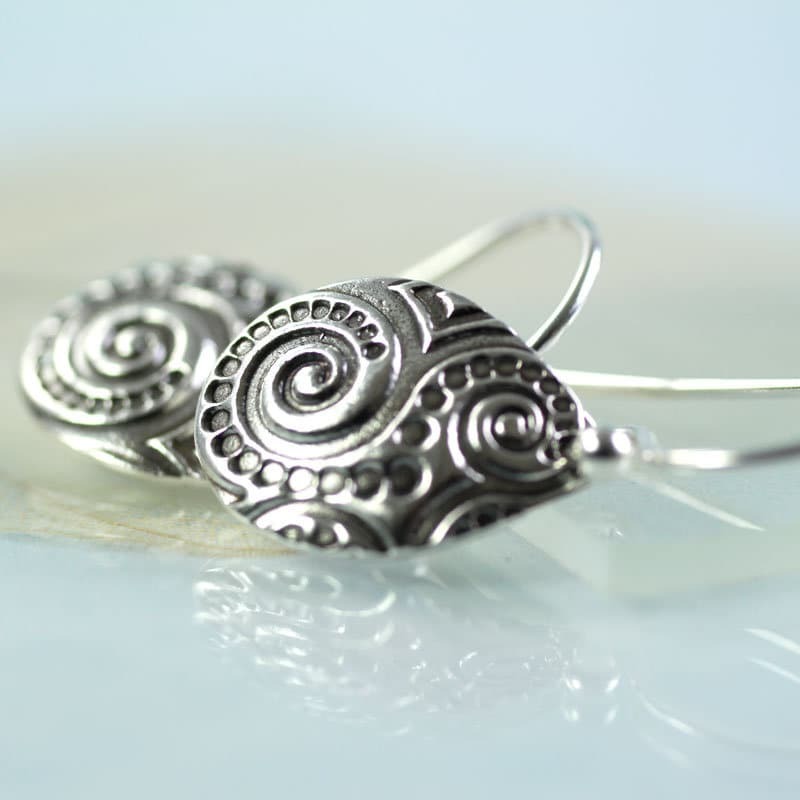 Petal shaped and domed, these earrings hang in a delightfully curved way. 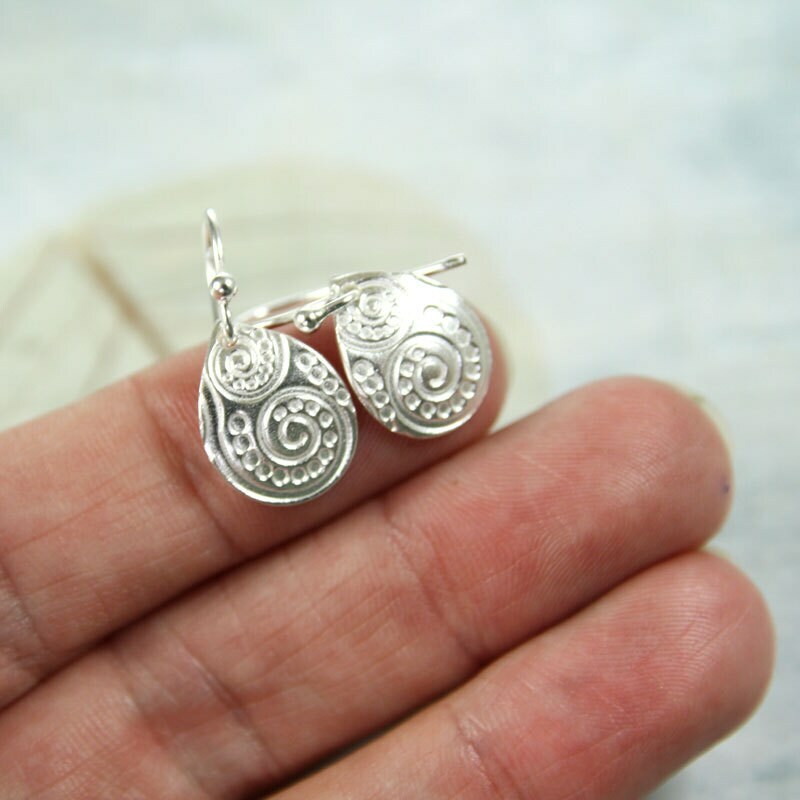 I have imprinted them with a swirly curly dot art nouveau pattern. 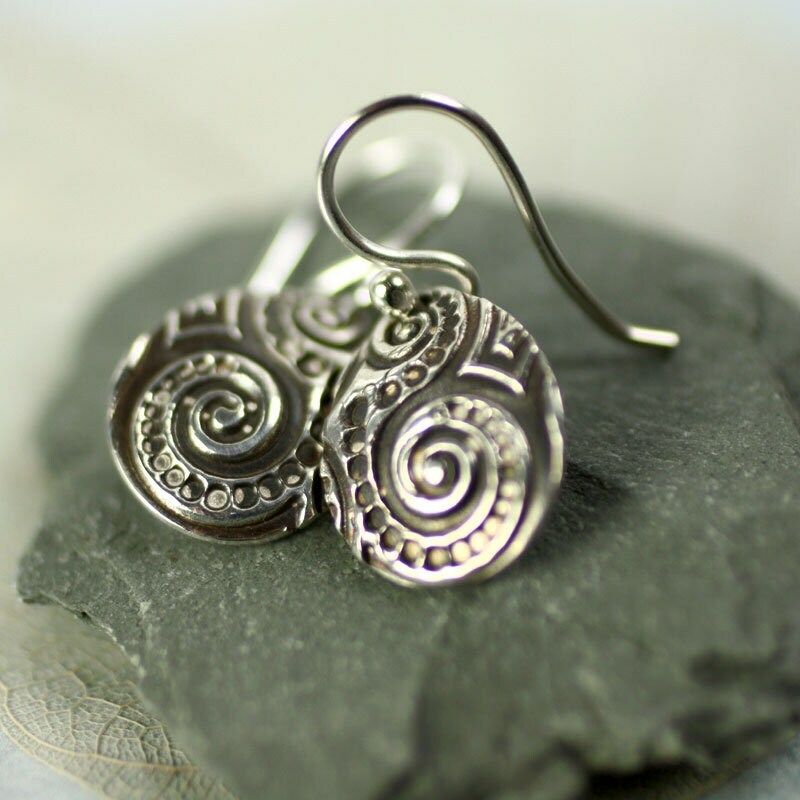 Spirals are a universal symbol for renewal and eternity. I love how they can mesmerise and look endless. 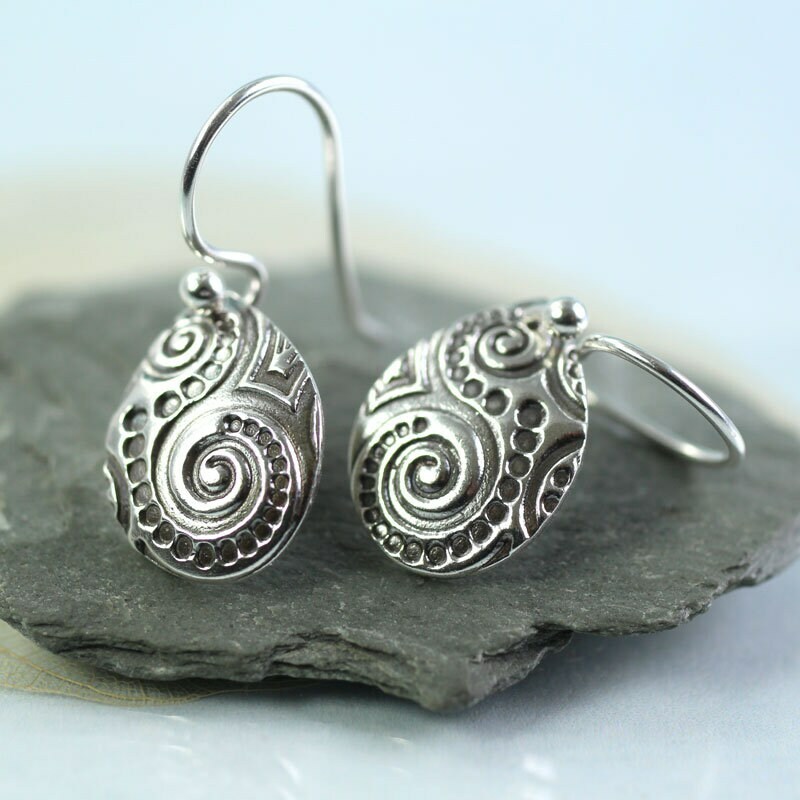 Choose between oxidised and bright silver. Both versions can be seen in the pictures. 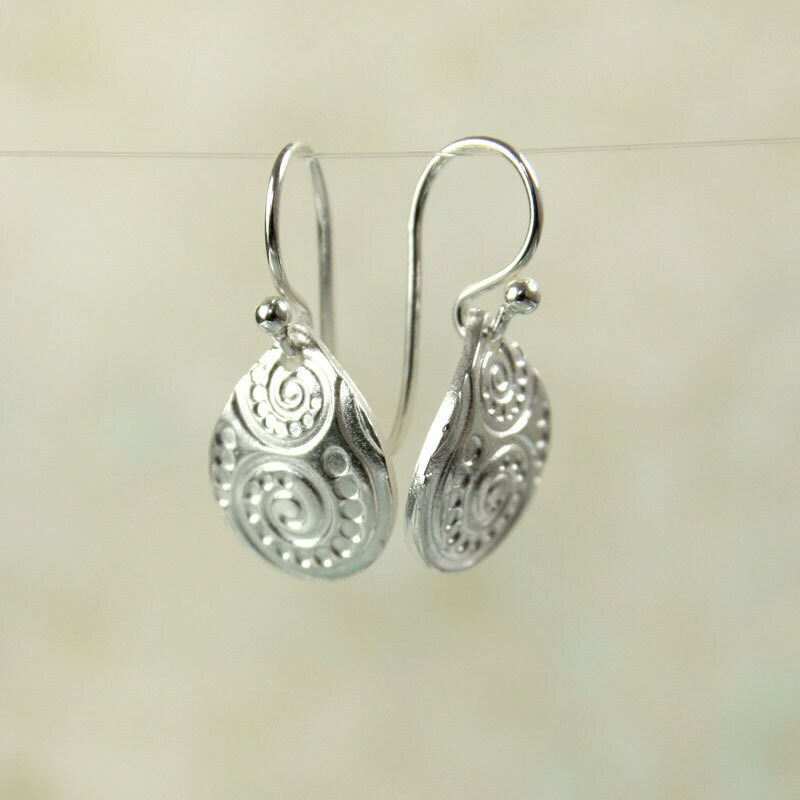 From ear to end the earrings hang just 23 mm long. 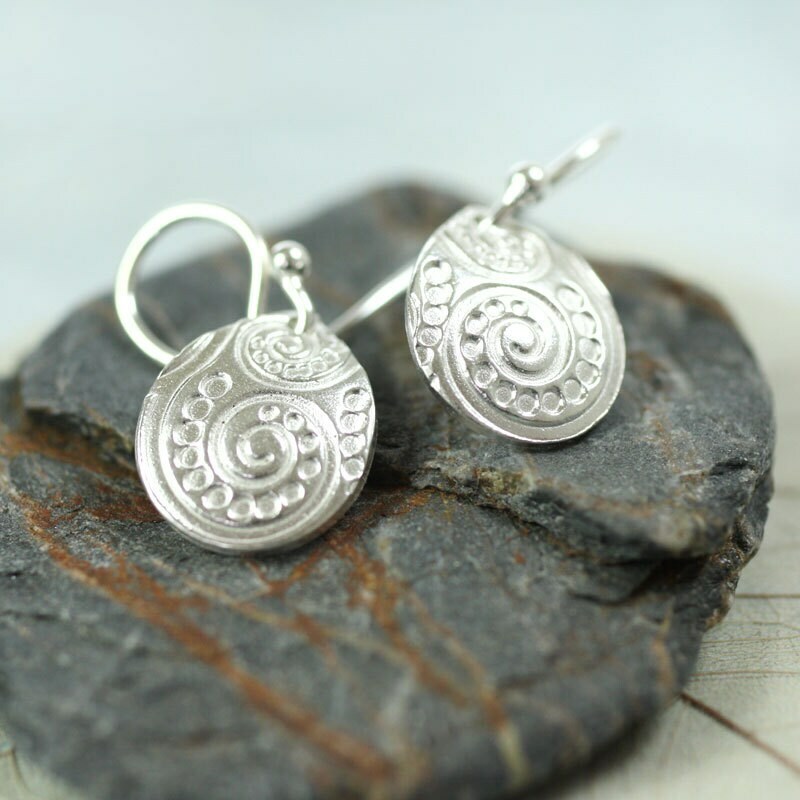 The petal drops measure 14 x 18 mm and hang well above the shoulder. The hooks are 0.8 mm wire. Thanks really nice work , the person loved the gift !